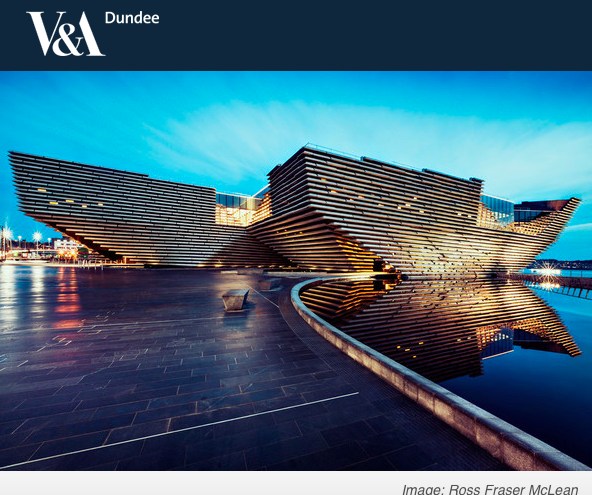 We are pleased to welcome the team from V&A Dundee into the gallery this Saturday afternoon (1pm ’til 4pm). Please drop by to find out more about the final few months of preparation ahead of the opening in September 2018, and their various fundraising programmes. We will also have exciting collection of works on show, including new pieces from Francis Boag, David Mackie Cook, Nael Hanna, John Kingsley RSW PAI, Robert MacMillan and Jack Morrocco and have pledged to donate the gallery commission from these sales to V&A Dundee. All welcome. Prosecco & Pastries.